If you want to learn R, or improve your current R skills, join me for two workshops that I’m offering through Revolution Analytics in January and April. 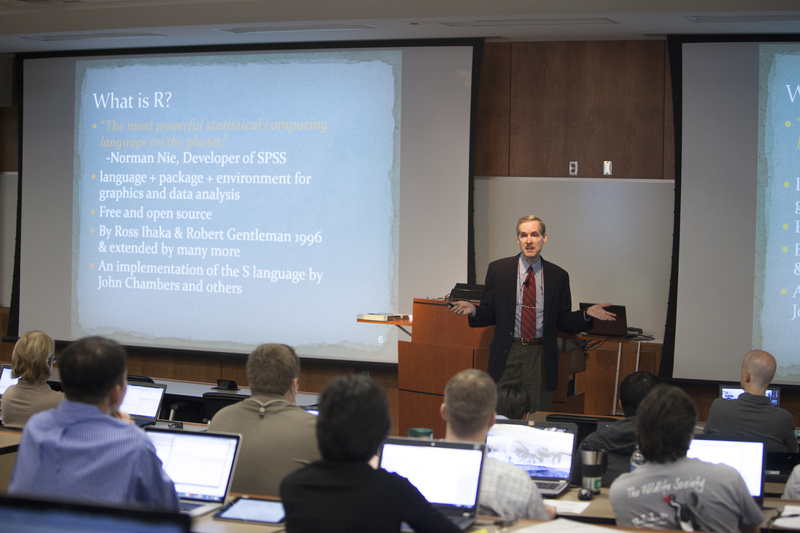 If you already know another analytics package, the workshop, Intro to R for SAS, SPSS and Stata Users may be for you. With each R concept, I’ll introduce it using terminology that you already know, then translate it into R’s very different view of the world. You’ll be following along, with hands-on practice, so that by the end of the workshop R’s fundamentals should be crystal clear. The examples we’ll do come right out of my books, R for SAS and SPSS Users and R for Stata Users. That way if you need more explanation later, or want to dive in more deeply, the book of your choice will be very familiar. Plus, the table of contents and the index contain topics listed by SAS/SPSS/Stata terminology and R terminology so you can use either to find what you need. You can see a complete out line and register for the workshop starting January 13 (click here) or April 21 (click here). If you already know R, but want to learn more about how you can use R to get your data ready to analyze, the workshop Managing Data with R will demonstrate how to use the 15 most widely used data management tasks. The course outline and registration is available here for January and here for April. If you have questions about any of these courses, drop me a line a [email protected] I’m always available to answer questions regarding any of my books or workshops.